Preparations for this year’s Game Awards show, produced by journalist and presenter Geoff Keighley, is now well underway. The venue has been set, the jury and advisors hand-picked, and the nominees chosen. The event will kick off on December 3, 2015 at the Microsoft Theater in Los Angeles, California. However, you’ll be able to watch it from pretty much anywhere, including Xbox Live, PlayStation Network, Steam, YouTube, Twitch, and more. As for the nominees, you’ll find the full selection at this link, but we’ve listed off a few of the nominations for our favorite games that we frequently cover below. Have a look. Eligibility requirements include a commercial release by November 24, 2015, though jurors are provided advanced review codes of some titles in order to meet judging deadlines. All of the above, plus many more nominations, will be judged by a handful of 32 jurors who’ve already been selected and are presented here. However, fans can voice their picks for awards like Esports Game of the Year, Esports Team of the Year, and Esports Player of the Year, among other choices. So, have a look through the nominees and tell us your picks in the comments below! 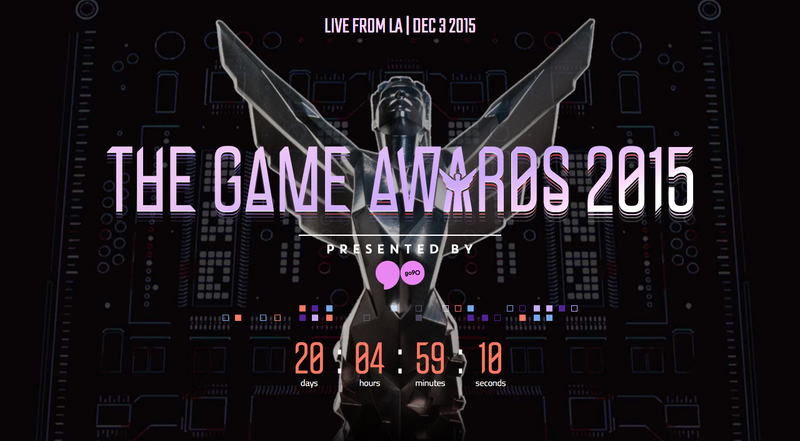 Ticket and presentation details for The Game Awards 2015 can be found here.